"The Clock is ticking", wrote on March 10th Corien Wortmann-Kool, a member of the European Parliament from the EPP (The Netherlands) on Twitter on the occasion of the then upcoming new round of negotiations in the trilogue among the European Commission, the Parliament and the Council on the second pillar of the banking union - the single resolution mechanism for failing banks (SRM). The problem is that it is not the Council that is in a hurry but the European Parliament because the MEPs want to close this huge dossier before the end of their term in April which will allow them to write this victory down on their account in time for the European elections, which will take place across EU on May 22-25. The tension between Strasbourg and the 28 capitals has been growing with the speed of the frequency of the meetings in the trilogue and has already started to evolve in threats and ultimatums, as the European Parliament's problem is that the Council is succeeding, for now, to withdraw a large part of its sovereignty in terms of decision on cases of failing banks, while the MEPs insist on maintaining the feeling of a community. In December, in Brussels, champagne corks were shot after a very painfully achieved agreement on the establishment of SRM which includes a significant part of intergovernmental sections mainly affecting the single resolution fund (SRF), as euinside wrote. This, however, was accepted really hard by the parliament which had not yet swallowed the fiscal pact agreed two years ago. Upon orders of the group leaders in the European Parliament, President Martin Schulz sent a letter to the European Commission in which he calls the Commission to "fulfil its duty to defend its proposal and use all the tools and powers it has at its disposal to firmly stand against the decision of the Council whose legality is more than doubtful". He points out that all legal services had agreed that Article 114 of the Treaty on the Functioning of the EU (TFEU) does provide a legal basis for the proposed regulation for the establishment of SRM, which means that there is no legal need to create an intergovernmental agreement. "The decision taken unilaterally by one of the co-legislators to exclude a number of issues from the scope of the Commission's proposal and thus from the scope of the negotiations carried out under the ordinary legislative procedure, completely contradicts the principle of sincere cooperation established in Article 4(3) of the Treaty of the European Union (TEU). Furthermore, by infringing the right of initiative of the Commission and violating the legislative powers of the Parliament as co-legislator, it sets an unacceptable precedent", wrote Mr Schulz in his letter from January 20th. - "A rock-solid guarantee" for the bail-in system must be included in the SRM regulation as is envisaged in the Bank Recovery and Resolution Directive. Those are the demands of the parliament presented with the respective tone through all possible channels - press releases, news conferences, social networks, the trilogue. If the parliament is united in its position and vision on the issue, the situation in the Council is very complicated. Several parallel processes are going on there that make the decision-making very slow and difficult. On the one side is the Eurogroup which has the biggest need of the SRM because it combines the countries that share a common currency. There, too, are divergent opinions on the details of the regulation. On the other side are the non-euro area countries which have no intention to participate in the banking union. 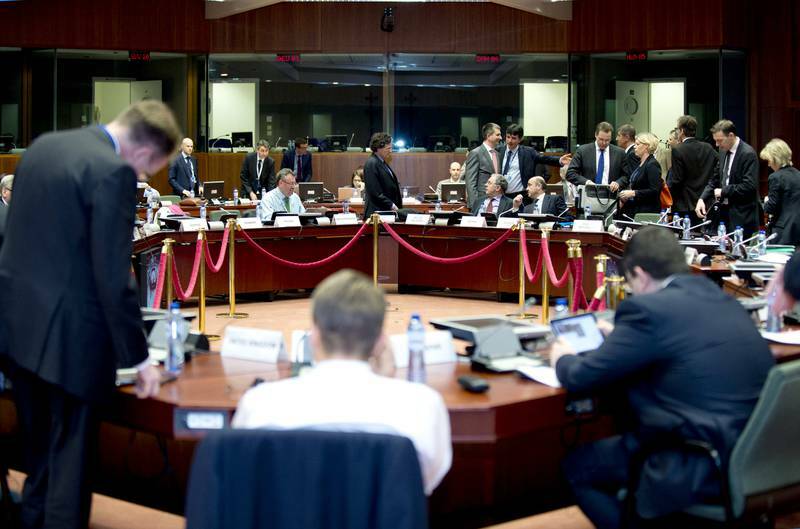 The negotiations in the Council are taking place in two parallel processes. One is the full format of the Ecofin (the council of the finance ministers of all EU member states) on SRM and the other is in an intergovernmental conference led by the Eurogroup chief, the Dutch Finance Minister Jeroen Dijsselbloem, which discusses the parameters of the intergovernmental agreement. On Monday afternoon, while Corien Wortmann-Kool was pumping the pressure up on Twitter, the euro area finance ministers met to reach an agreement. The problems that divided them were several. First are the measures to ensure enough liquidity in the SRF. At a news conference after the end of the meeting, Mr Dijsselbloem said there was readiness to respect the parliament's demand to speed up the period of mutualisation. The second problem was the decision-making process on lending between the national compartments on which the ministers agreed that those countries that have big concerns can reject the board's decisions. In other words, if a decision is taken by the fund the member states will be able to reject it during the transition period, but only under specific and limited in number conditions. Something that will be quite frustrating and unacceptable for the parliament. The third problem the ministers discussed on Monday evening was the bail-in rules (rescuing a bank with its own funds). A consensus was achieved the cost of failures of a bank to be paid by the financial industry. Here, the member states reached another deal which will hardly be accepted by the MEPs because it envisages the bail-in principles to be changed if all member states agree. The fourth problem is burden-sharing in the cases when a bank that has a lot of subsidiaries in other member states has to be resolved. 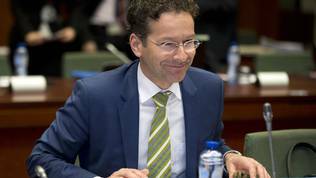 According to Jeroen Dijsselbloem, a compromise has been reached on "preventing asymmetrical affects in the distribution of resolution costs". In his words, this issue "seems to be solved". He added that the finalisation of the intergovernmental agreement depended on an agreement with parliament on SRM. 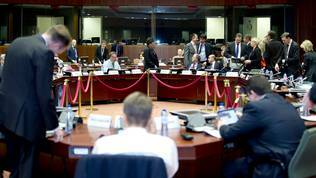 On the next day (March 11), the finance ministers of all the EU member states gathered for a public session, during which the red lines were drawn. Quite impressive was the fact that mainly the ministers of the biggest member states spoke, most of all from the euro area. The only minister who took the floor from newer Europe was Romania's budget minister Liviu Voinea. 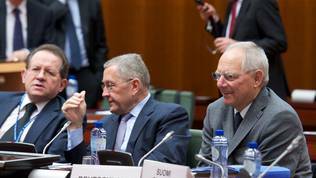 One of the first who took the floor was Germany's Finance Minister Wolfgang Schäuble, who was very critical to the European Parliament. He said he was very frustrated by Martin Schulz's letter and added that "it was not a very smart move". 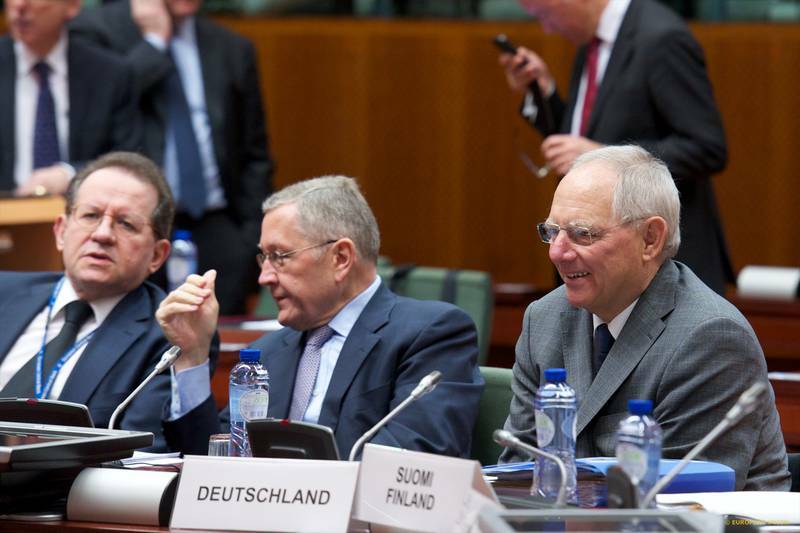 Mr Schäuble added that he did not accept Strasbourg's peremptory tone. We want to have a strong board and that is why it should have the right to launch resolution upon its own initiative. "We don't understand why the parliament believes that the board should not have the right to launch a resolution procedure in addition to the ECB", the German minister said. Against the backdrop of all the attempts to reach a compromise and state respects for the MEPs' position, Minister Schäuble raised another key issue - why, in the first place, should be moved away from the general approach [the full text] agreed after so many efforts in December. He even called the model that was applied with the fiscal pact to be copied - an intergovernmental agreement with a commitment in five years to be incorporated into the European legislation. After the intervention of the German finance minister, considered a shadow chancellor in Germany, a remarkable retreat from previously stated, at least publicly, positions started. 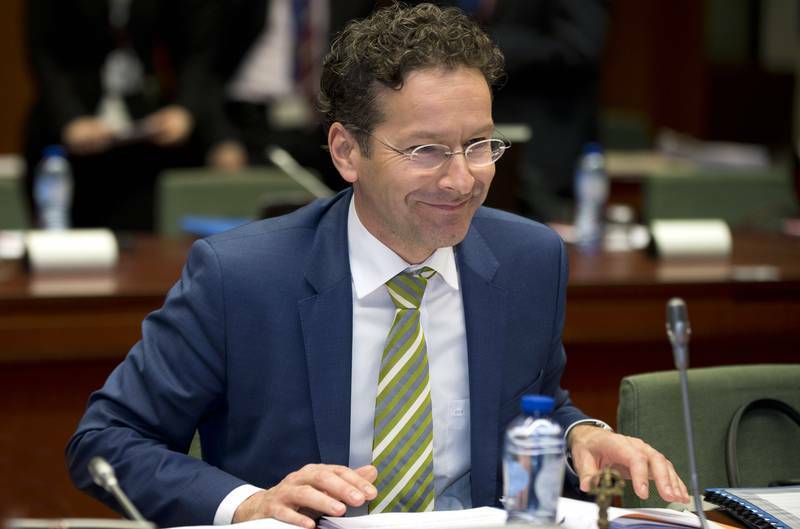 Minister Dijsselbloem, after reiterating he respected strongly the European Parliament's position, denounced as completely useless the focus on the speed of mutualisation in the fund. This was somewhat contradictory to the announced a day earlier by him attitude for a concession by the Council to that demand. "I don't believe this element helps the main problem that in the first years there will not be enough money in the fund", he said. The real problem is in the first years of the fund and that is why the issue of credit lines should again be considered, he suggested. 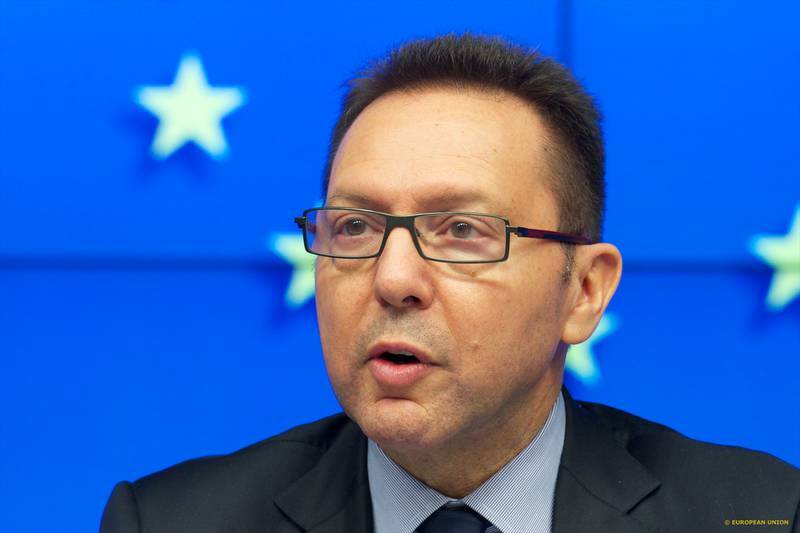 The new Italian finance minister, for whom this was the first Ecofin, agreed with Dijsselbloem that there is too much focus on the initial acceleration of mutualisation. "This mechanism will work if it generates new expectations and therefore new type of behaviour of the financial sector in Europe. We have to send a signal not only about the speed of mutualisation but also about the decision-making mechanism", said Pier Carlo Padoan. Britain sided with Germany pointing out that London, too, was happy with what has been agreed in December "because we believed that the role of the Council is to ensure democratic responsibility and accountability". Sweden's Minister of Finance Anders Borg, too, called not to retreat from the agreed compromise. The Romanian minister defended the position that the Council should have a leading role in the SRM and reiterated that Bucharest is against the use of any public funds for guarantees in any fund, were Liviu Voinea's words. The public debate ended relatively quickly with the argument that a new draft needed to be prepared. For hours the website of the Council was saying that a new public deliberation was coming. 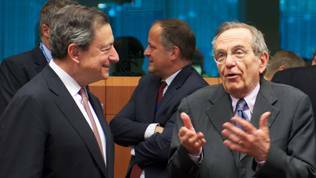 In the early evening, there was a brief live session from the meeting during which Greece's Finance Minister Yoannis Stournaras announced that the Greek Presidency had received a revised mandate for the negotiations in the trilogue which began today (March 12) in the early afternoon. The most important part of the agreement was, however, that the trilogue will be attended by Jeroen Dijsselbloem in his capacity as chairman of the intergovernmental conference. This is a strong signal that the Council will not retreat from the intergovernmental approach. The mandate includes updated positions on the six red lines of the Council. The first is which institutions should be the final authority for resolution as the choices are between the Commission, ECB and the resolution board. In the December general approach, which the Council still holds dear, it is foreseen this authority to be the board acting upon a proposal by the Commission. The Europarliament also believes that the decision must be taken by the board but with a greater weight of the Commission and "avoiding" the Council. According to some member states, the Commission will be in a conflict of interest if it plays this role which is why George Osborne, the UK finance minister, called for a definition of conflict of interest. The second issue is who will assess the banks. In the December compromise, it is set the ECB to do that and there will hardly be many disputes on that point. The role of the plenary session in every decision is the third front line. As you know, the SRM governance is divided into an executive board and a plenary session. The positions in the Ecofin were polarised on March 11th, because some countries believe that the board should have a leading role, while others insisted on the plenary. Luis De Guindos, the Spanish finance minister, proposed the Commission to have a heavier saying in the board, while the Council to have the last word in the plenary format. The fourth red line is voting in the plenary which many of the ministers agreed should be via simple majority, but Germany insisted on double majority - a simple majority among the members plus representation of the contributions in the fund. The fifth topic is the lending tool for the resolution fund and the sixth is the contributions to the fund. Details, of course, were not available. How will the negotiations unfold is unclear, but the deadline is the European Parliament plenary in April. If, by then, there is no agreement that can be voted by the MEPs, the second pillar of the banking union will be left for after the formation of the new parliament. At this stage, there are moods in the Council that there is no need to hurry because, for now, the economic indicators in the euro area are good, but this is not accepted unequivocally by the economic analysts and most of all by investors because new clouds are thickening on the horizon which forebode new problems for the single currency - deflation. 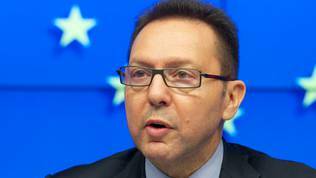 Yoannis Stournaras was slippery during last night's news conference and refused to say what expectations he had for the outcome of the trilogue saying only he always is an optimist. 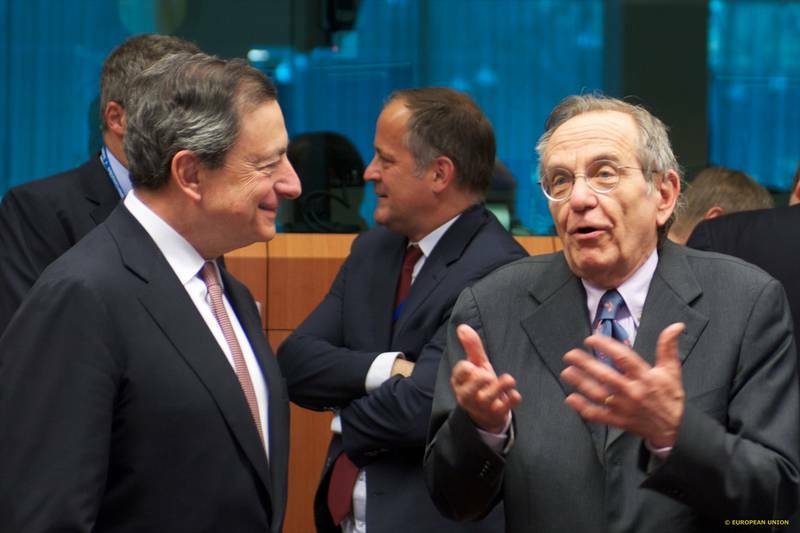 A small hope is that he said he does not foresee another Ecofin meeting. But this is only a small hope.